When former MI5 officer Harry Tate is asked to hunt down a rogue group of former army officers called The Protectory, offering British army deserters a new life and identity, he isn’t much interested… until he finds that his former Security Services boss, Paulton, who tried to have him terminated (see ‘Red Station’), is involved with the group. He also learns that The Protectory drains the deserters of their knowledge to sell to the highest bidder before disposing of them. And this time they have their sights on a young, high-profile woman officer who has disappeared from her post as ADC to the Deputy Commander, International Security Assistance Force, Afghanistan. Worse, she has an eidetic (photographic) memory, and what she doesn’t carry in her head about logistics, operations and strategy in the region isn’t worth knowing. It makes her quite simply the highest prize available to an enemy organisation or government… with the worst likelihood being the Chinese or al-Qaeda. But Harry, persuaded to hunt down the Protectory and the missing officer, isn’t the only one with a score to settle with his former boss. Clare Jardine, a fellow Red Station survivor with an affinity for cold steel, is also on Paulton’s trail. And she has no intention of letting Harry get there first if she can help it. This set the scene for a topic I had not seen covered before: that of military deserters and their potential value to foreign powers or organisations. It ties in with an aspect of the modern military that not many of us give much thought to, day-to-day is the fact that many specialist serving personnel are highly skilled and educated, supremely trained and, by virtue of their jobs, carry a great deal of valuable information in their heads – the kind of information that certain enemies would pay highly for. But every trade needs a middleman… a ruthless negotiator. And for those personnel who fall prey to desperation, and desert – for all manner of reasons, including battlefield trauma – who better to take advantage of these often damaged individuals than a group of former military officers who know the value of the ‘supplies’ they have to offer, and who also know that they have a ready source of top class talent waiting to be exploited with false promises of a new life, new passport, lots of money… but who can instead be quietly disposed of when no longer needed. It was this idea that gave me a fresh new angle for Harry’s continuing story, while remaining topical (and keeping him focused on catching up with Paulton – although you’ll have to read the book to find out if he does that or not!) It also allowed me to bring back Paulton, Harry’s nemesis, and Claire Jardine, another of his fellow inmates from Red Station.I enjoyed researching and writing this book, and hope it makes for as good a read as it was fun to write! 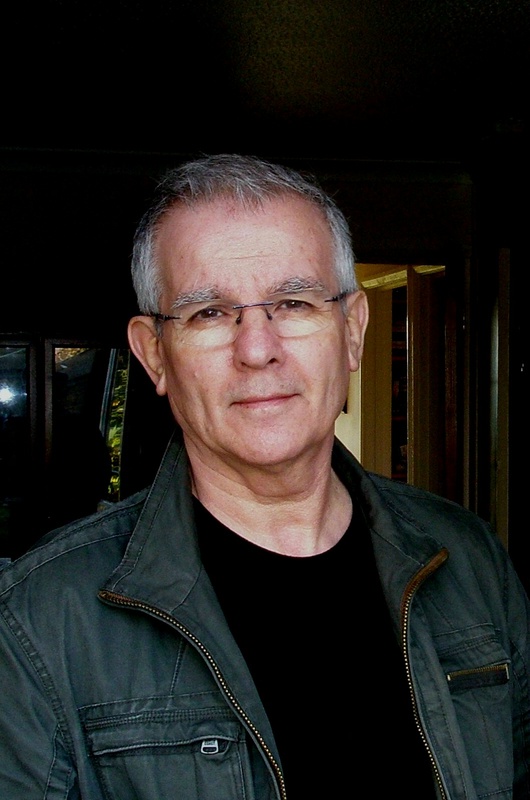 Adrian Magson is the author of 12 crime/thriller novels and many short stories and magazine articles. His forthcoming novels are ‘RETRIBUTION’ (Severn House), 4th in the Harry Tate spy series, and ‘DEATH ON THE PONT NOIR’ (ALLISON & BUSBY), 3rd in the Inspector Lucas Rocco French police series. A regular reviewer for Shots Magazine, he writes the ‘Beginners’ and ‘New Author’ pages for Writing Magazine, and is the author of WRITE ON! THE WRITER’S HELP BOOK (Accent Press). To learn more about Adrian, please visit his website.